Glutton for Punishment | Nam Writes. As many of you know, I do not like running. Not even a little bit. But I love the idea of being a runner. I love the idea of being in shape and conquering the miles one by one. Of course, I have never quite become the glorified runner of my imagination. Instead, I hobble along, complaining about each mile and wondering why I put myself through this. Why? Because, clearly, I’m a glutton for punishment. 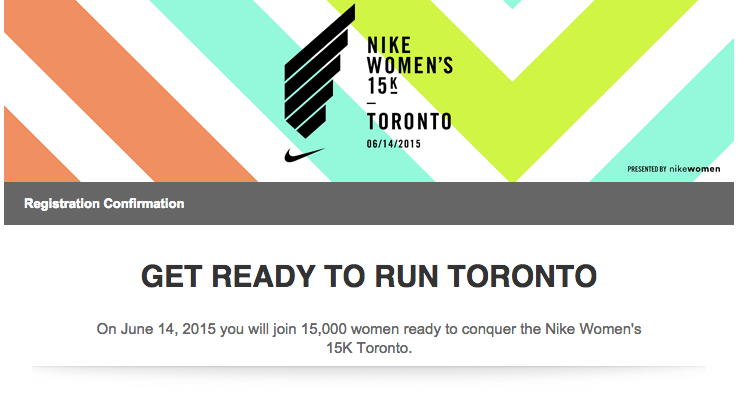 That must be why I signed up for the Nike 15K race in Toronto in June. Fortunately, I have two good friends who agreed to participate in this torturous journey with me. I’m super excited to see my friend Daveeda in Toronto even if I need a 9.3 mile excuse to make the trip. So now the training – and the complaining – begins in earnest!